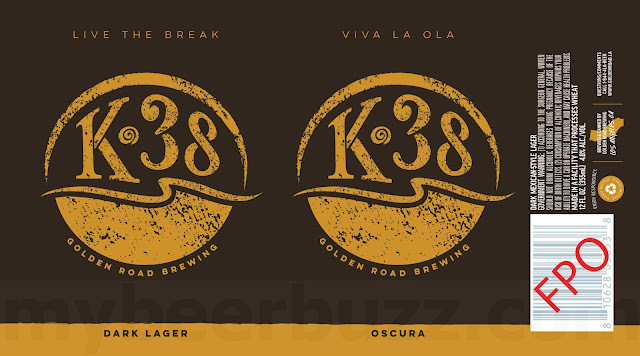 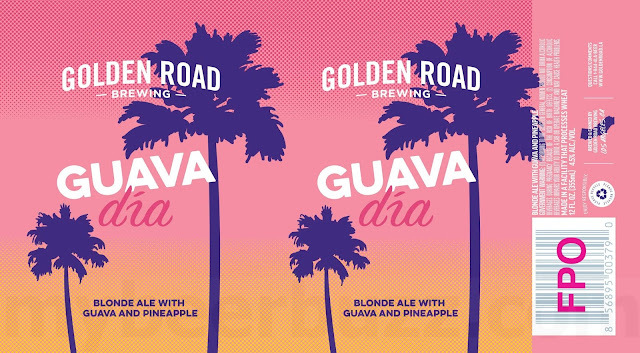 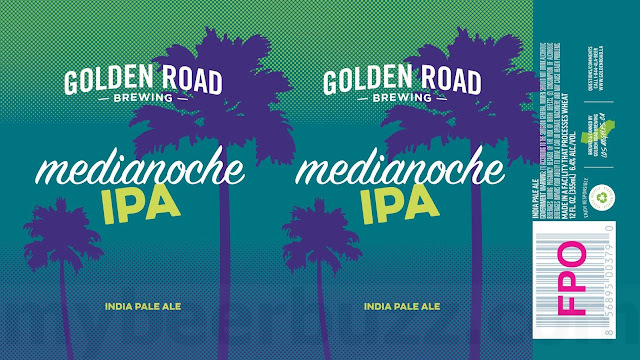 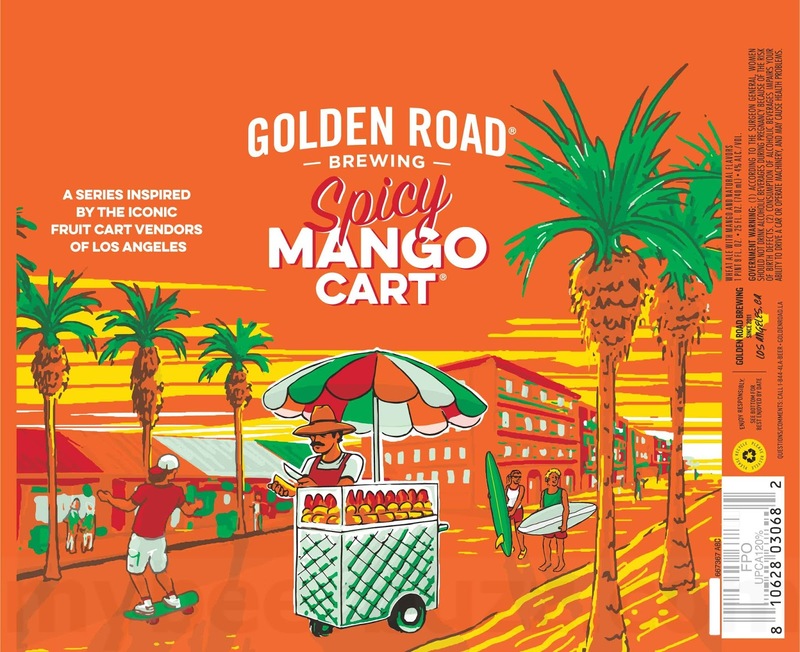 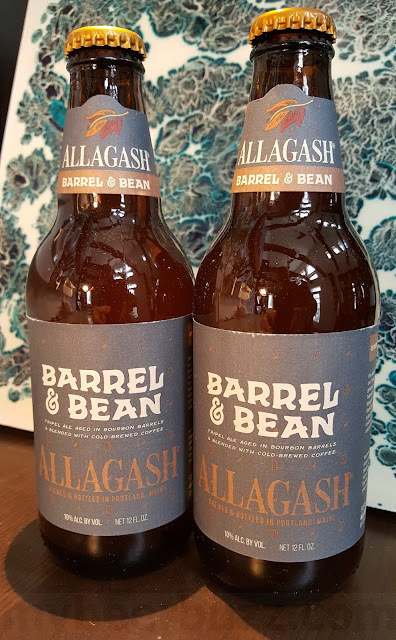 Here’s a new beverage coming to cans from Golden Road Brewing in Los Angeles, CA. This is Spiked Agua Fresca and you’re looking at the Sparkling Mango flavor. This beverage hits 4%-AbV & 115 calories per 12oz serving and this is the 12oz can. 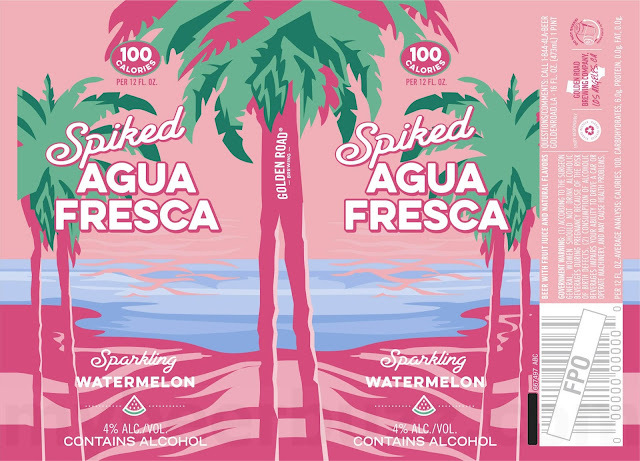 We also have Cucumber Lime (4%-AbV, 98 calories, 12oz cans) & Strawberry Pineapple (4%-AbV, 110 calories, 12oz cans). 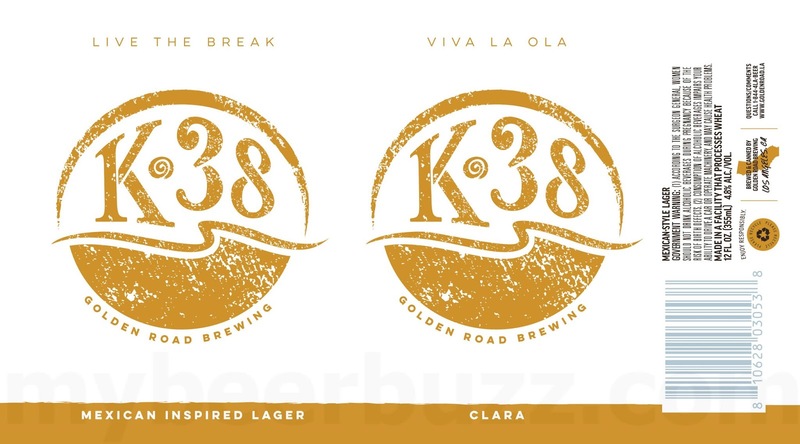 I’ve added in Ride On IPA (6.4%-AbV, 12oz cans), K-38 Oscura dark lager (4.8%-AbV, 12oz cans), K-38 Clara Mexican-inspired lager (4.8%-AbV, 12oz cans), Haze The Day IPA (6.8%-AbV, 12oz cans), Guava Dia blonde ale with guava and pineapple (4.5%-AbV, 12oz cans), Medianoche IPA (6.4%-AbV, 12oz cans), Spicy Mango Cart (4%-AbV, 25oz can), Spiked Agua Fresca Sparkling Watermelon (4%-AbV, 100 calories per 12oz serving, 16oz cans) & Palisades Pineapple American wheat ale (4.8%-AbV, 12oz cans).